If they created a think tank for laundry management and stain removal, they'd hire my mother-in-law as the first expert employee. She knows very useful things about getting clothes clean. Until recently, I had despaired about intractable grease stains on my clothes and my family's clothes. In fact, if they created a think tank for dotting clothing - especially shirts - with grease, they'd hire me as the first employee. 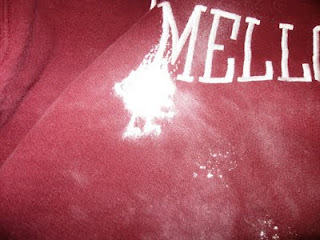 Imagine my relief when my M-I-L showed me the magic of talcum powder for removing grease stains, even on items that have been washed. It works best if they haven't been washed and dried yet, as you might guess. 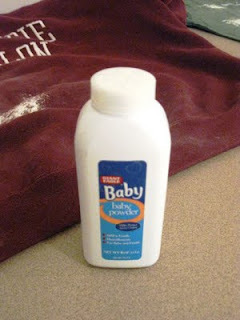 -Get some common talcum powder, most often sold these days as baby powder. if you have a baby laying around, you may already have some in the house. -Shake the powder onto the stain. Don't be afraid to really pile it on there to cover the stain. -Let the garment sit for a while - about 30 minutes should becgood. -Flick the powder off the stain. 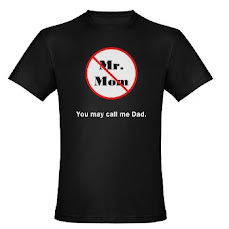 You may see that it's already reduced. One time, in fact, the stain was gone after this step. Usually, though, you can still see it, highlighted by talcum powder. -Reapply, wait and flick off again if stain still looks significant. -Launder the garment normally. 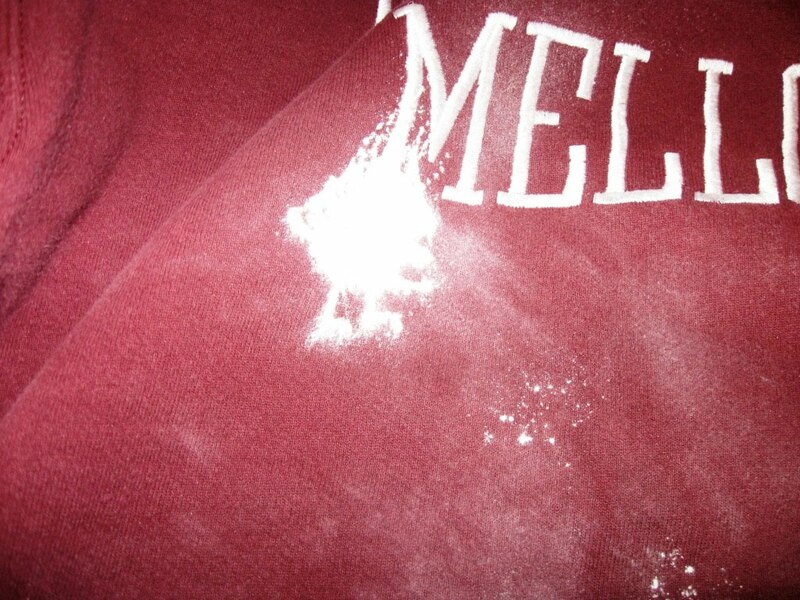 Check the stain before you put it in the dryer and repeat the talcum powder steps if it's still visible. This trick has returned garments on which I had given up hope to our wardrobes. Smart M-I-L you have, Jeff. Treasure her! I had no idea! Though I do have a baby laying around, we have no baby powder. I'll have to put it on the list. I'm tired of ruined clothes too. I have evidence that Jeff feels very strongly about this method. He brought a travel-sized baby powder with him to Vietnam! I have to believe it wasn't for Teddy's bottom. PS. I like your banner. I did say after you've done your thing with the powder to use a laundry treatment, like Shout, as well. I also put a few drops of detergent on top of that. Hit it with all you've got! Wow! That’s really great. And the steps seem so easy. Oh! I will surely try this grease stain removal method the next time I will stain my shirt with grease. Thanks a lot for sharing this tip.